Dennis J. 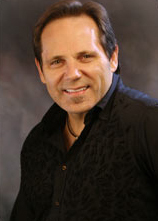 Wells, DDS, founder of the Nashville Center for Aesthetic Dentistry, is a graduate of Harding University and the University of Tennessee Dental School. He received his accreditation with the American Academy of Cosmetic Dentistry (AACD) in 1994, and has since served as an examiner for the AACD accreditation process. He is founding president of the Tennessee Chapter of the AACD, and an instructor for the "P.A.C.-live" aesthetic continuum in San Francisco, a premier post-graduate program sponsored by the University of the Pacific Dental School. Dr. Wells received the President's Award from the AACD in 2001, and has been recognized in Woodward/White's 2004-2005 edition of The Best Dentists in America. Dr. Wells lectures internationally on cosmetic dentistry and practices in Nashville, Tennessee where he has designed the smiles of many high profile people such as music celebrities, professional athletes, and beauty pageant contestants. Additionally, numerous dentists across the country have honored Dr. Wells by choosing him to deliver their own personal smile design treatment. He is a member of the Matrix Band and helped coordinate the Matrix Band CD project for the Give Back a Smile Foundation benefiting victims of domestic violence. Dr. Wells has been featured in numerous print and broadcast features on oral health and cosmetic dentistry, including an episode of The Learning Channel's "A Personal Story" that featured a smile makeover. He is also one of only a handful of dentists to be featured on ABC's hit reality TV show, "Extreme Makeover." As a way to have a positive impact on the options people have with their smiles, Dr. Wells is committed to teaching other dentists the special prepless DURAthin techniques. He hosts lectures and seminars in his office so dentists from other areas will be able to offer this exciting option to their patients. 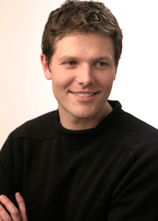 Experience Dental Studio's founder, Mark Willes, began his training at Utah Valley Dental Lab in 1996. He soon became a partner there which led to an invitation from the Pacific Aesthetic Continuum (PAC-live) as an assistant instructor for their Advanced Anterior Course. Mark has developed several live patient programs and has also worked over the years as a lab instructor for the Hornbrook Group. His current hands-on, DURAthin LIVE courses with Dr. Dennis Wells are helping dentists across the country provide their patients with viable, beautiful, minimal-prep options. Today, Mark's great love and passion for continuing education continues. He teaches a number of live, hands-on courses and ceramic programs across the country-each designed to enhance the skills of dentists interested in leading-edge aesthetic techniques. Mark has participated in the cementation of literally thousands of restorations. These live patient experiences have given Mark an opportunity to see first hand what dentists desire to achieve with their patients. It has become the foundation for an artistic perspective very few ceramists develop during their careers; and perhaps most importantly, this unique insight continues to translate into direct benefits for Experience Dental Studio client dentists and their patients. Located in Provo, Utah, Experience Dental Studio is the exclusive laboratory for designing DURAthin veneers. The consistency that dentists know and expect from Experience Dental Studio has come in part from Mark's dedication to CE, his pursuit of perfection, and his teaching abilities. Every Experience Dental Studio team member has been carefully sought out and personally trained by Mark to execute his vision for excellence.